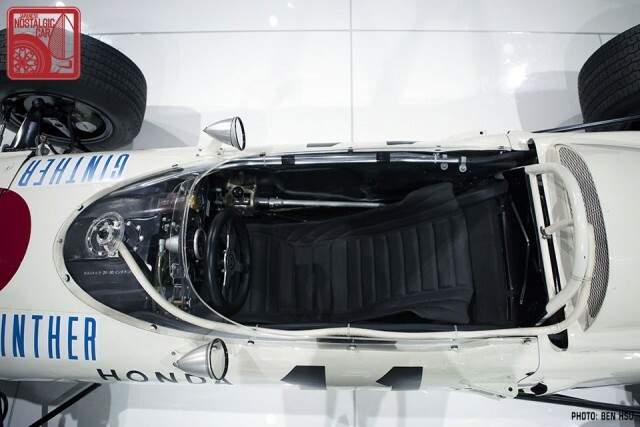 The Honda RA272 is a legend. 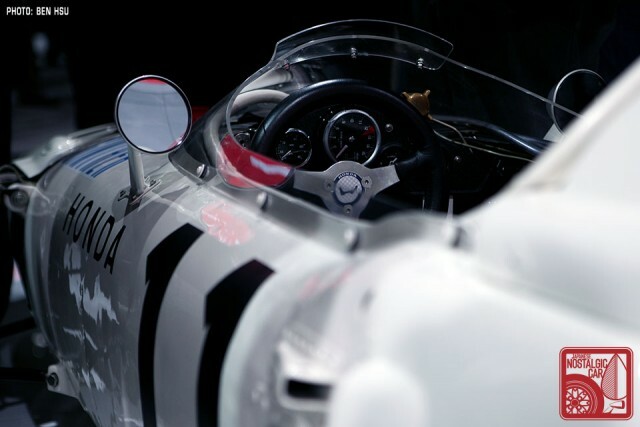 It brought Old Man Soichiro his first Formula One trophy in 1965, only three years after his company began building cars. It is such a revered car that the company rarely even shows it in Japan. That’s why we were surprised as anyone to see it in Detroit. If we had to guess, we’d say the No. 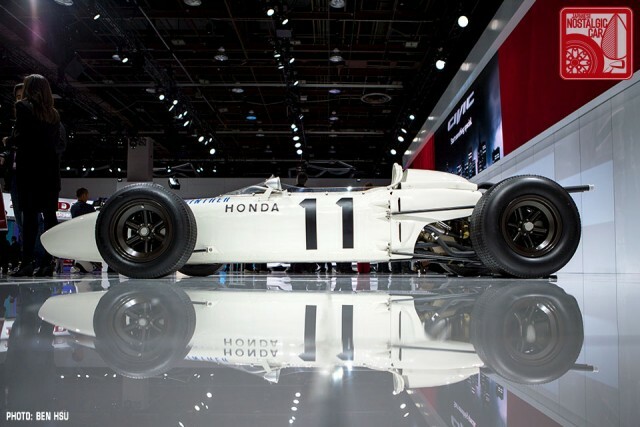 11 RA272 is the most valuable car in Honda’s vast collection, period. It’s so priceless, Honda rarely even brings it out in Japan. Sure, it’ll trot out the RA271 for the Tokyo Motor Show or the RA300 for the Goodwood Festival of Speed, but risking damage by shipping the car halfway around the world only to be crowded against by journalists falling over themselves to get a picture of a woman on a UniCub would be a huge gamble. Was it a gamble Honda would be willing to take? 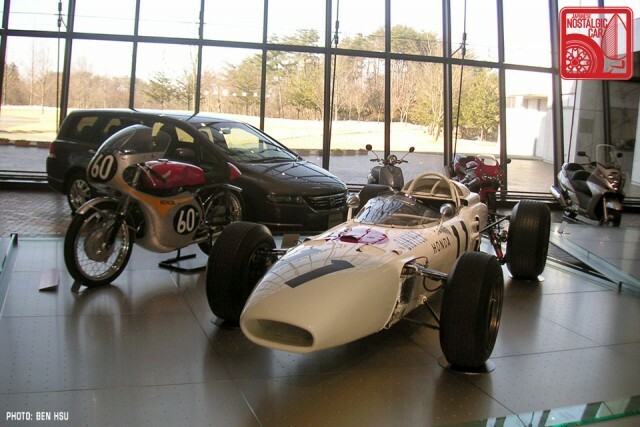 We asked Honda PR man Simon Branney if the RA272 in Detroit was the original. “No, it’s a replica,” he confirmed. Case closed, right? We proceeded to take some photos. “Are you kidding?” we asked. “Are you kidding?” This went back and forth about three more times. Time to do a little digging. One clue was the lack of a red Honda emblem on its nose. The RA271 had one, and the cars that came after it had one. But further Googling revealed that some old photos of the RA272 had the emblem, some didn’t. Sometimes both came from photos that purported to be from the same race. Oops. Real or not, it is an incredible machine. It’s also devoid of all but the most rudimentary of safety equipment. The driver’s seat is not much more than a cushion plopped into a metal canoe. You lie almost flat in it, and the gear shift linkage is completely exposed, running through the cockpit into the rear-mounted transmission. That’s an instant rib breaker in case of a side-impact accident. It’s no coincidence that their first Grand Prix winner was being shown just as Honda is getting back into Formula 1 again. 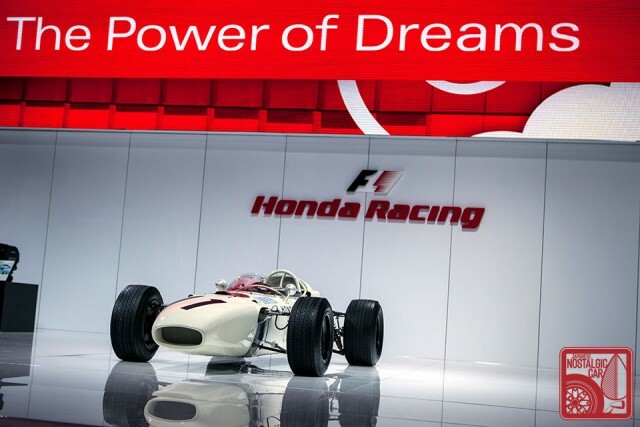 For 2015, Honda is replacing Mercedes as McLaren’s engine supplier in an effort to reprise the dominance of the sport that Honda-McLaren demonstrated in the late 1980s. 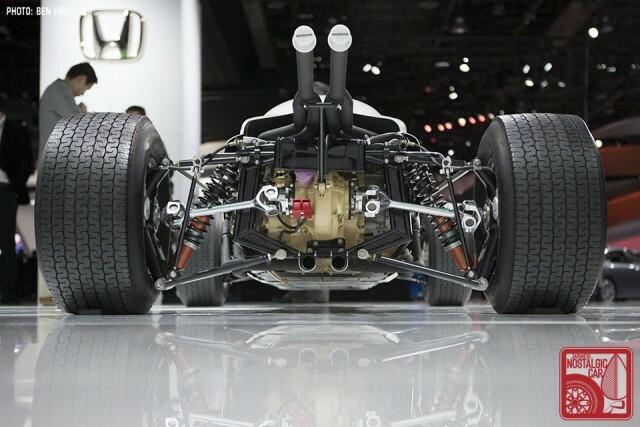 In any case, it’s worth going to Cobo Hall to check out the car, just to get a sense of its rawness and sheer mechanical simplicity. Even if it wasn’t real, it was hands down the coolest thing we saw at the Detroit Auto Show. 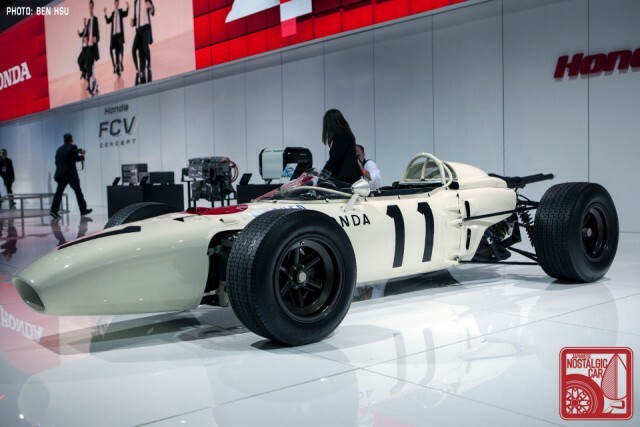 tagged: Detroit Auto Show, formula 1, honda, ra272. ok…so honda can make 2 o 3 to sale please??? ohh…and a nsr 250 and city turbo with a motocompo in the trunk. One of my “I wish” moments would not to have been to not have sold my Honda NSR250. Live and learn, well and truely missed the collector boat on that one ! They are a great bike, they pop up often enough on yahoo but not cheap. My other half had a Honda City when we first met, pretty cool cars. That little Honda went from south end Australia (Melbourne) via the middle of NSW right up to Far North Queensland with 3 people in the car and all the way back down. A true GT car lol, that’s over 5000KM of driving in one direction. Most of the R&T photos are not of the Mexican GP. They’re from earlier races that year, in Europe. The car didn’t have a Honda emblem on the front, judging by the actual photos of the Mexican GP. I was wondering if it was real, I had a hard time imagining them bringing this machine to Detroit for a car show. I’d have loved to have seen even just a replica though.